– building and strengthening of the institutions of our common country and our homeland as a country of equal rights of constituent peoples and other citizens who do not declare themselves as members of one of the three constituent peoples. – relativise and deny the independence and integrity of BiH (separatism). We consider the Declaration of the Parliament of the Republic of Croatia on the Position of the Croat People in BiH a great contribution to our fight for an independent, integral, stable and prosperous BiH in which the Croat people will be constituent and equal with Bosniaks and Serbs, and we strongly welcome its adoption. The original Washington and Dayton Accords recognised and operationalised constitutionality of Croats in BiH and ensured a relatively high level of constitutional and institutional equality of Croats with Bosniaks and Serbs. Subsequent amendments to the aforementioned agreements through imposed constitutional amendments by OHR and false interpretations have significantly changed the character of these agreements and, among other things, challenged the Constitution and Dayton’s BiH, Croatian constitutionality in BiH, and placed Croats in a subordinate and unequal constitutional, institutional and political position compared to Bosniaks and Serbs. – because all the above, among other things, it has a strong impact on the process of emigration of Croats from BiH and leads to very serious demographic problems within the Croat national corpus. Unitarian and separatist goals and interests are incompatible and directly opposed to the fundamental principles and models of the Dayton Agreement, and therefore, the main causes of the non-functional and unstable Dayton BiH should be searched in them. The solutions to acute and chronic crises should be sought through the return of Dayton and its fundamental principles of constituency and mutual equality of constituent peoples. In order for BiH to continue and successfully complete its Euro-Atlantic path, or to become a full member of the EU and NATO, it is necessary to approach the so-called Brussels upgrade of the Dayton foundation, i.e. constitutional, legal and institutional changes on the principles of federalism, decentralisation, subsidiarity and legitimate political representation, as set out in the Resolutions of the European Parliament in 2014 and 2017. This implies a new and more rational administrative and territorial organisation of the country that will equally embrace all three constituent peoples through consistent operationalisation of the principles outlined in the Preamble of the Dayton Constitution on the Constituency of the People. b) to ensure the highest degree of individual, human and civil rights for every citizen of BiH irrespective of their national (non-)affiliation. In practice, this would mean to implement to the full extent the relevant decisions of the Constitutional Court and the European Court of Human Rights. – securing without discrimination the rights of all who do not declare themselves as members of one of the three constituent communities to elect and be elected. Belgium and Brussels, as the headquarters of the EU, are examples and evidence that the principles of federalism and consociational democracy are a part of the European legal and political practices and that it is possible and desirable to harmonise these principles with the principles of individual, human and civil rights and freedoms, the proof that it is possible to make a Brussels upgrade of the Dayton foundations. The CNA BiH will prepare a new Integrated Proposal for Amendments to the Constitution and the Election Law of BiH that meets all the above principles. The strategic goal of the Croats in BiH is that BiH joins the EU and NATO as soon as possible. Membership in the EU and NATO is the most important objective of foreign policy of Bosnia and Herzegovina, as well as of the state and of the CNA BiH as the umbrella organisation of the Croats in BiH. We, the political representatives of the Croats in BiH, are proud of the role played by the CNA BiH members in leading the EU’s path of Bosnia and Herzegovina, including the entry into force of the Stabilisation and Association Agreement in 2015, submitting of the EU membership application in February 2016 and submitting of responses to the EU Questionnaire in February 2018. We especially welcome the establishment of a coordination mechanism that enables all peoples of BiH to offer clear and loud support to BiH’s accession to the EU on all levels of government, from cantons to the state, and to have an equal position during the negotiations. The CNA BiH is firmly committed to speeding up the implementation of all necessary reforms on the path to the EU and NATO, including dismantling of the Office of the High Representative (OHR) as soon as possible as one of the prerequisites for full BiH membership in the EU, and to ensure full BiH sovereignty as an independent, integral, stable and prosperous state whose institutions are capable of assuming responsibility for the state and its sovereignty. We welcome the role and contribution of the CNA BiH members in the activation of MAP, which BiH received in December 2018. In order to accelerate our European path and preserve the constituency and equality of the Croats in BiH, we particularly emphasise the contribution of the officials of the Republic of Croatia, as well as of the Croatian Members of the European Parliament. The Croatian Defense Council led a just and legitimate defending, not conquesting, war, in which it defended the territory where the Croats lived within the internationally recognised borders of Bosnia and Herzegovina. The core values of the Homeland War are freedom, rule of law, peace-making, national equality and respect for human rights. In accordance with the fundamental principles of fairness and civic solidarity, and within the framework of material possibilities, full protection, dignity and care should be provided to all Croat defenders, the families of the killed and the victims of the Homeland War. For the dignity of the Homeland War, judiciary in Bosnia and Herzegovina needs to process all cases of individual war crimes and all other crimes committed in the war, strictly applying the principles of individual accountability and guilt, and resolutely oppose selective and tendentious indictments under command responsibility towards the commanders of the Croatian Defence Council. In this way, we preserve the moral dignity of the Croats and protect the honour, reputation and dignity of all the defenders and citizens who participated in the defence of Bosnia and Herzegovina. 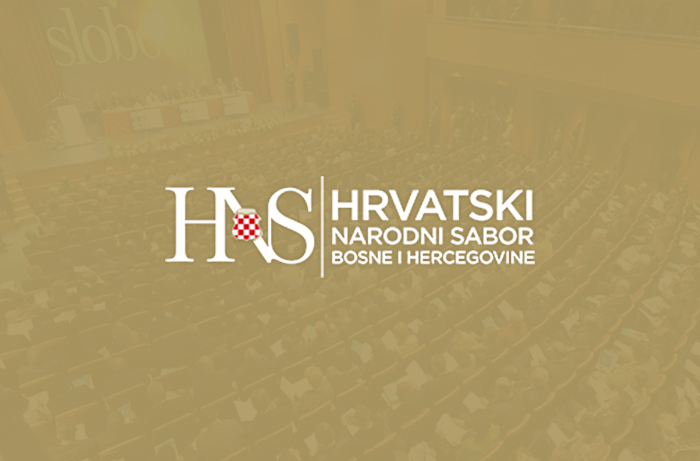 We reject the qualifications of the International Criminal Tribunal for the Former Yugoslavia on a joint criminal enterprise that is unfounded and unjustly attributed to the Republic of Croatia, the Croatian Republic of Herzeg-Bosnia, and to the Croatian Defence Council. Such malicious qualifications, unfortunately, are used as an attempt to achieve the war goals of only one side in the war in Bosnia and Herzegovina and to eliminate the Croats as a political entity in Bosnia and Herzegovina. The International Criminal Tribunal for the former Yugoslavia was not called upon in the “Prlić et al.” case, nor has it ever been called upon , to decide on matters of state responsibility, because its jurisdiction is only criminal and extends only to individuals. After all, that is how the Tribunal itself decided in 2007. The Croatian Community of Herzeg-Bosnia, the Croatian Republic of Herzeg-Bosnia and the Croatian Defense Council have decisively contributed to the preservation and defence of Bosnia and Herzegovina. We appeal to the citizens, state and social institutions, associations and the media to protect the fundamental values and dignity of the Homeland War on these principles as a pledge of our national equality and the civilisational future of Bosnia and Herzegovina. Political stability is the foundation for the rule of law, economic growth, demographic reconstruction and the general progress of BiH as a state and Croats as a constituent people in BiH. In order to achieve political stability, it is necessary for all three constituent peoples to be truly constitutive and equal in the entire territory of BiH, respecting the Constitution of BiH and the rule of law, as well as the abandonment of political options of anticonstitutional, anti-Dayton and potentially disastrous policies of separatism and unitarism. Given that the major obstacles to the development of Bosnia and Herzegovina, the establishment of a more competitive economy and social justice and the arrival of foreign investment, are legal uncertainty and corruption, it is necessary to reach the broadest political and social consensus as soon as possible and to ensure the political climate and institutional capacity for an effective fight against corruption. – intensive development of quality education, small and medium entrepreneurship and tourism with the aim of keeping young people in BiH and their full integration into the economic system. – establish the Public Broadcasting Service which will broadcast the programme in Croatian language, objectively and affirmatively connecting and reproducing the social, national and cultural identity of Croats in BiH, making it and its specifics present, visible and recognisable in the Bosnian and Herzegovinian plural public and media space; support to organising all media in Croatian language into a media pool. The CNA BiH will work with Croatian associations and organisations abroad to form a body that will gather all Croat representatives from BiH in diaspora and serve the economic development of Croatian regions in BiH and the return of Croats from diaspora. The common goal of all these measures and activities is to raise the quality of life and work in BiH, to slow down and even halt the process of emigration and to achieve demographic renewal of the Croats. The primary purpose of the CNA BiH is to gather and coordinate the joint action of all political entities in BiH of Croats, with the aim of achieving the full constituency and equality of the Croats in BiH with the other two constituent peoples. For these reasons, but also to send a clear message to all Croats in BiH, other constituent peoples in BiH and all citizens, to the Republic of Croatia, Washington and Brussels and to the entire international community, that Croats are united in the struggle for their national, constitutional, political and other rights, all decisions regarding possible constitutional changes and changes to the Electoral Law of BiH and the establishment of authorities on all levels will be made or confirmed by the relevant CNA BiH bodies. Through such a form of collectiveness, the CNA BiH will endeavour to demonstrate the greatest degree of political accountability towards the Croats, as well as to other constituent peoples and citizens, and to the state of BiH, which is a community of constituent and mutually equal peoples and citizens. At the same time, we will continue to systematically and persistently undertake activities aimed at strengthening the role and position, as well as the reputation, influence and importance of the CNA BiH and all its bodies: the Presidency, the General Council, the Council and the Secretariat. – the fundamental criterion of staffing must, above all, be the principles of excellence and efficiency. – modelled according to the bodies of language communities in Belgium which, along with political autonomy, also provide a complete and effective educational, media and cultural autonomy, transforming of the CNA BiH into an all-Croat umbrella organization in BiH that brings together legitimate political representatives and all leading social, economic, educational, cultural, sports, religious and other Croat representatives in BiH through the CNAC BiH Council, and the inclusion of the CNA BiH as a holder of non-territorial autonomy of Croats in BiH in the constitutional and legal order of BiH. We, the legitimate representatives of the Croat political will in Bosnia and Herzegovina, adopt this Declaration as a firm commitment of ours and a strong message to all our social and political partners with whom we share the responsibility for the stability and prosperity of our common homeland of Bosnia and Herzegovina.